Robert Frost, string educator, clinician, author, and composer, is internationally known for his compositions and educational materials. He graduated from the Utah State University with a Bachelor of Fine Arts and a Master of Music degree and received his Doctor of Music Education degree from the University of Northern Colorado. 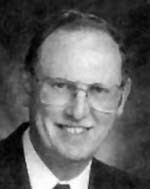 He was a string specialist in the Cache County Schools for 30 years before retiring in 1994. Listed among his numerous works is the highly acclaimed string method "All For Strings" and the revolutionary method "Viva Vibrato" both of which he co-authored. He has held leadership positions in music education at the state and national levels.